These 6 Direction Signs are an essential for any Hen Party. 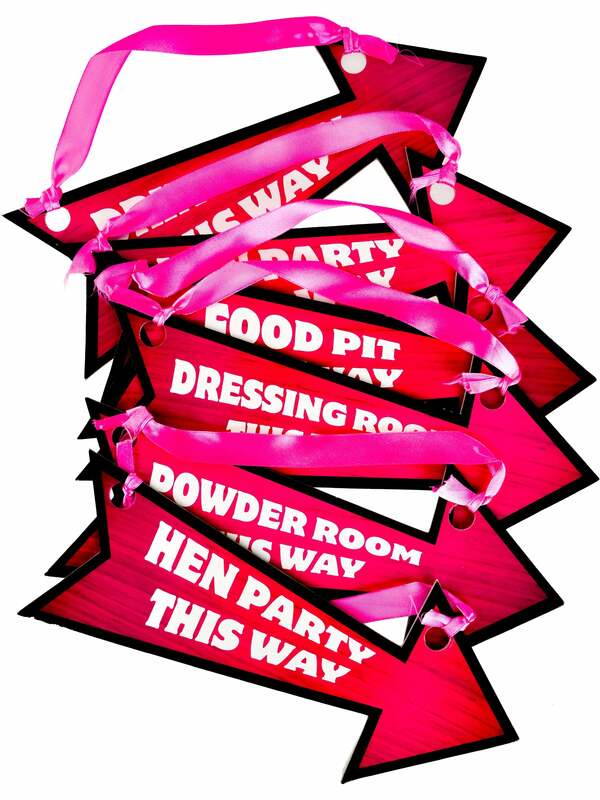 The fun pink signs point out where the party, food pit, powder room, dressing room and drinks den are! To make sure you have a truly great night, check out our huge range of Hen party decorations, games and accessories. Why not add a Cocktail Glass Foil Balloon and a Personalised T-Shirt to your order? Hen Party Superstore offer a range of delivery options, including Next Day and Saturday delivery so that you can get the perfect decorations even at short notice.